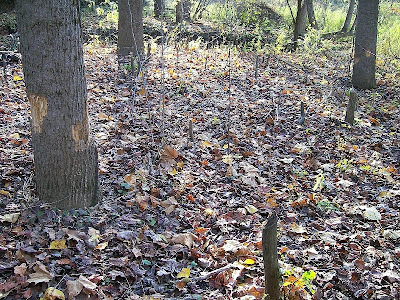 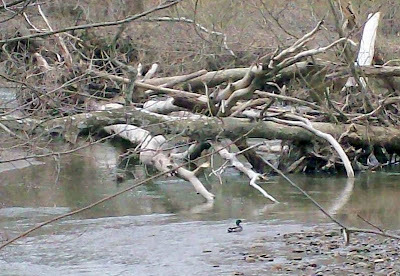 NOTE RE PHOTOS: PILE OF TREES AT EDGE OF CREEK I CALL 'BONES'. 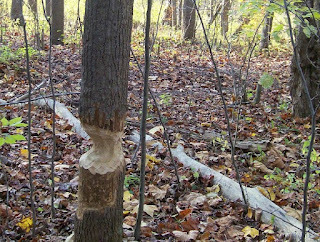 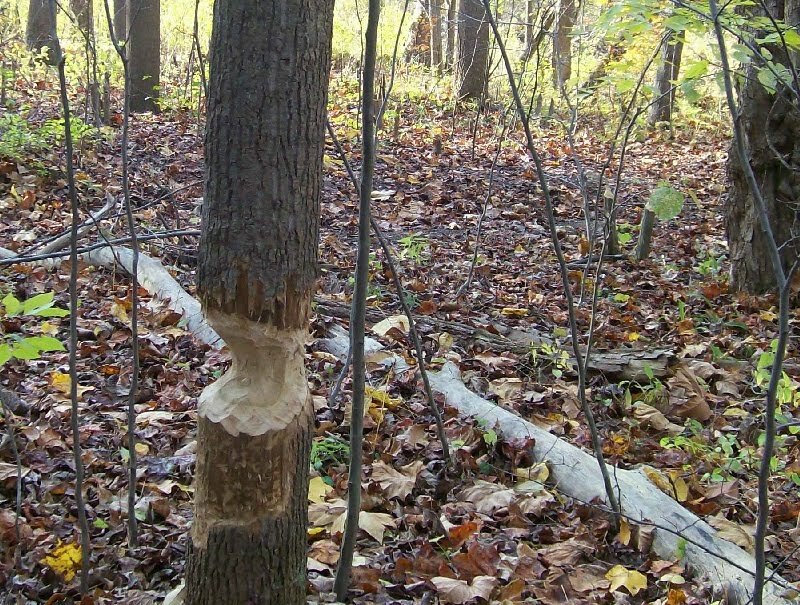 THEY PILE UP REGULARLY FROM BEAVERS' WORK. 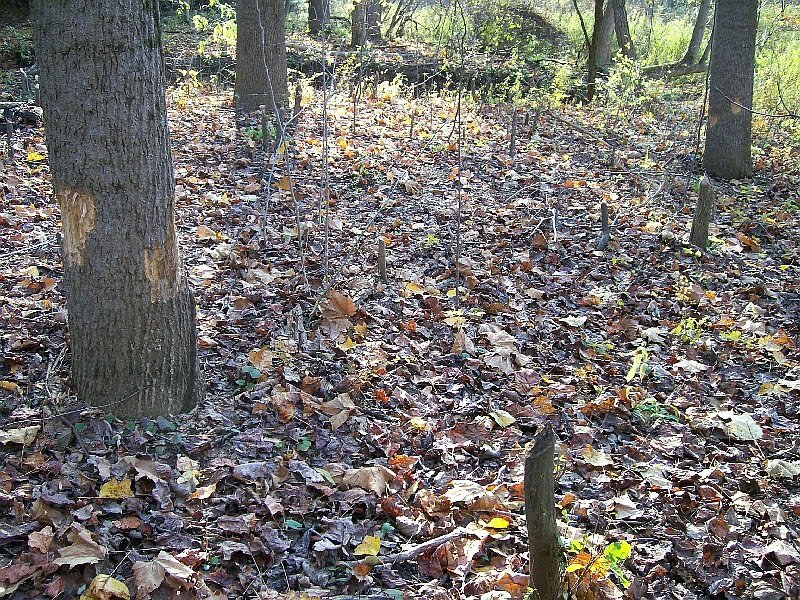 THE SECOND PHOTO, OF THE WOODLAND, SHOWS CHEWING ON A LARGER TREE, PLUS 'STUMPS' OF MANY SAPLINGS CHEWED OFF IN GREAT NUMBERS, THREATENING THE FUTURE OF THE WOODLANDS.